Toon Network isn’t satisfied with leaving fans with just a popular series, but it’s now being adapted into a full length animated feature from Warner Brothers. The project comes from the production combo of Chris McKay and Roy Lee. McKay is the man hired to direct ‘The Lego Batman Movie‘ at Warners and is also the brain to thank for ‘Robot Chicken’. Lee is also in production capacity for ‘The Lego Batman Movie‘ and was a producer for ‘The Lego Movie‘ with Dan Lin. 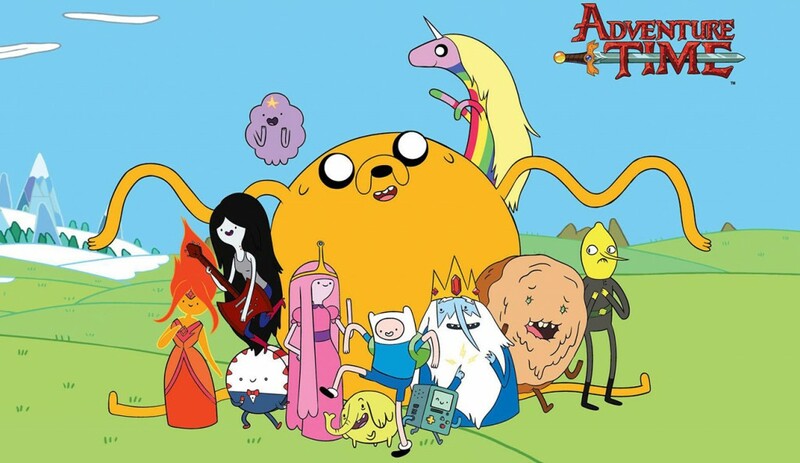 As TLM shows spinoff potential, the hope is the same for ‘Adventure Time‘ as it sports major franchise opportunities to be taken advantage of. There have been quite a few celebs that have given their voice over to an animated character and I can only hope the feature film will give us plenty of options for that to play out again. There are plenty of quoteable quotes from the series that will pop into mind involuntarily, like now I’m thinking of well-dressed pickles that cry when they poop. This is the crazy stuff the show puts in your brain. Excited to see this one on a big scale! This entry was posted on Saturday, February 28th, 2015 at 6:51 pm	and is filed under Film, News, Television. You can follow any responses to this entry through the RSS 2.0 feed. You can skip to the end and leave a response. Pinging is currently not allowed. « Characters From ‘Flash’ and ‘Arrow’ Come Together For New Series!! !